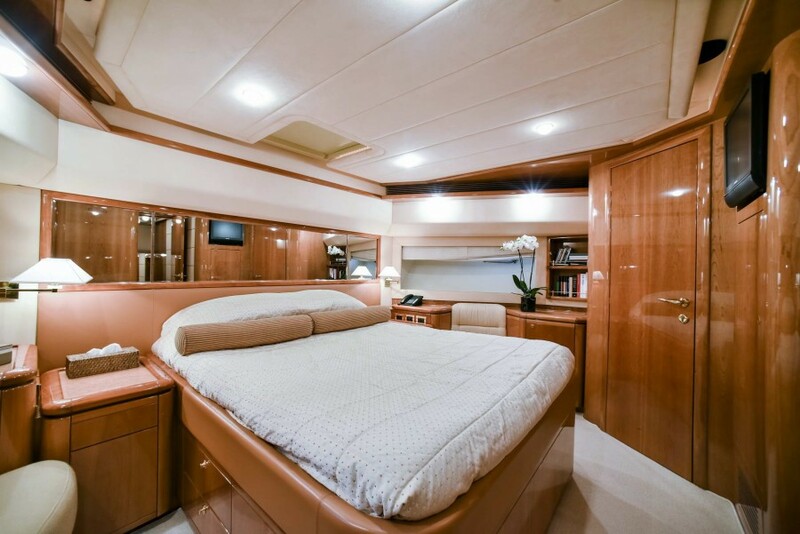 The Ferritti 881 is the new flagship of the Ferretti fleet. 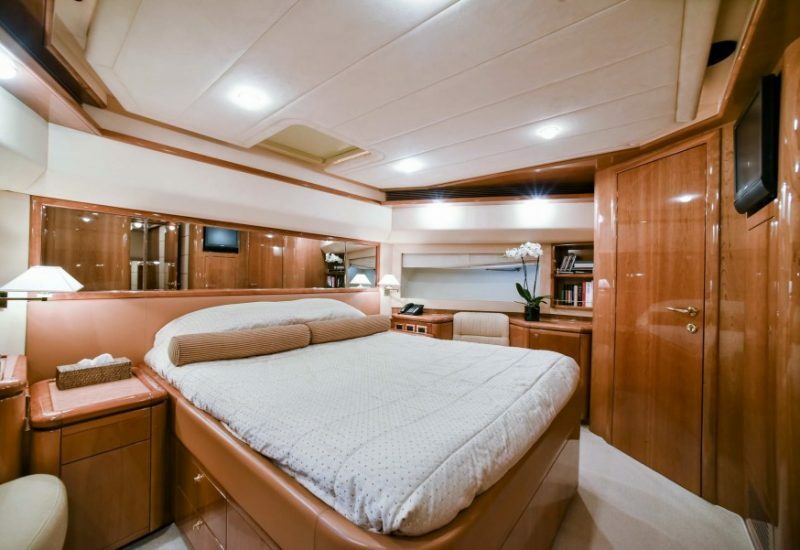 The largest “production” model in the Ferretti line is the 881, a beautiful, high-speed motoryacht that is as well-designed and engineered as any boat in its size and class on the water today. 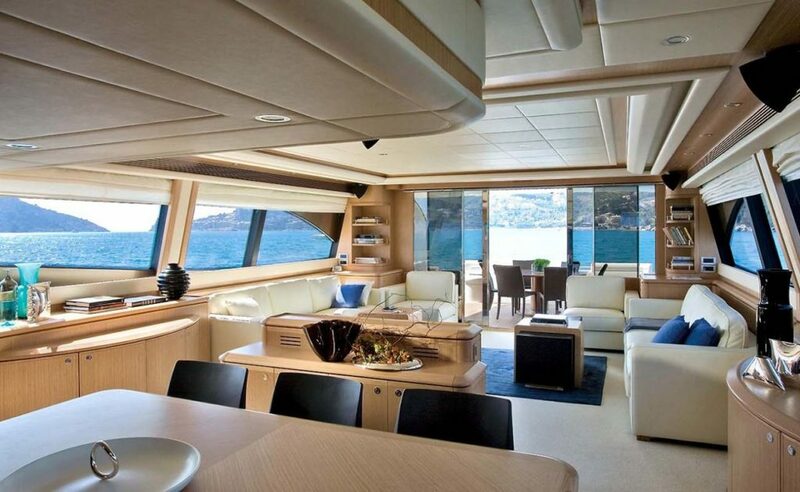 The Italian Ferretti is such a brand, combining superb finish, speed and the classy style that seems to be a hallmark of Italian luxury yachts that is appropriate for any boat ride. 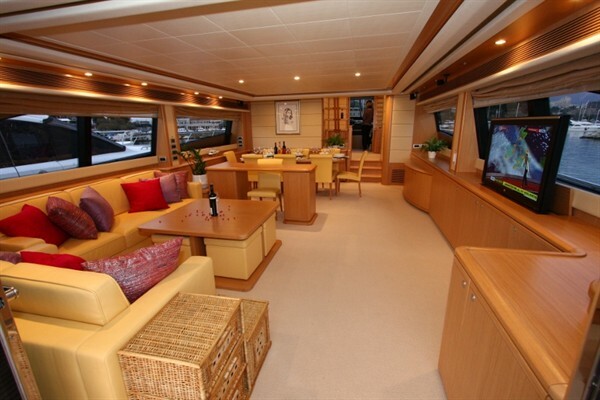 The 881’s flying bridge is second to none in its class. 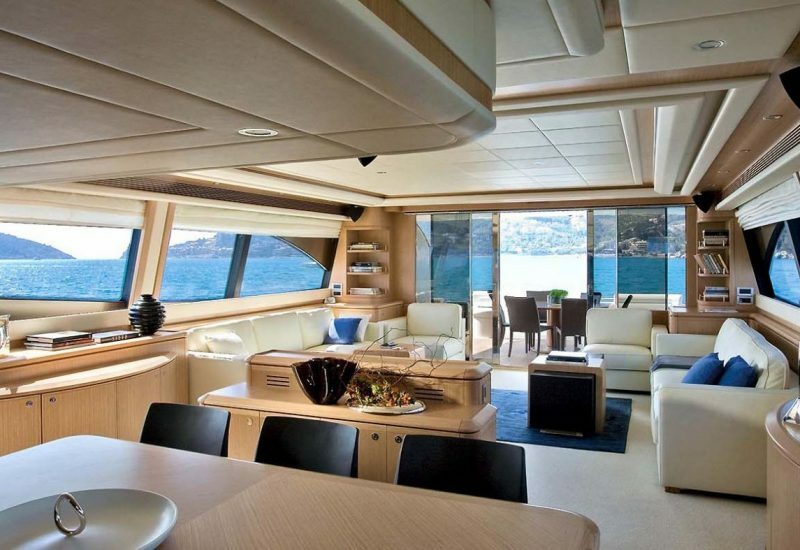 There are two huge sun pads on the bridge, seating for at least 12, a secondary helm complete with retractable instrument panel, a mini galley complete with frig, stove top, sink and serving bar –plus, the centerpiece for entertaining: a large hot tub with Jacuzzi. 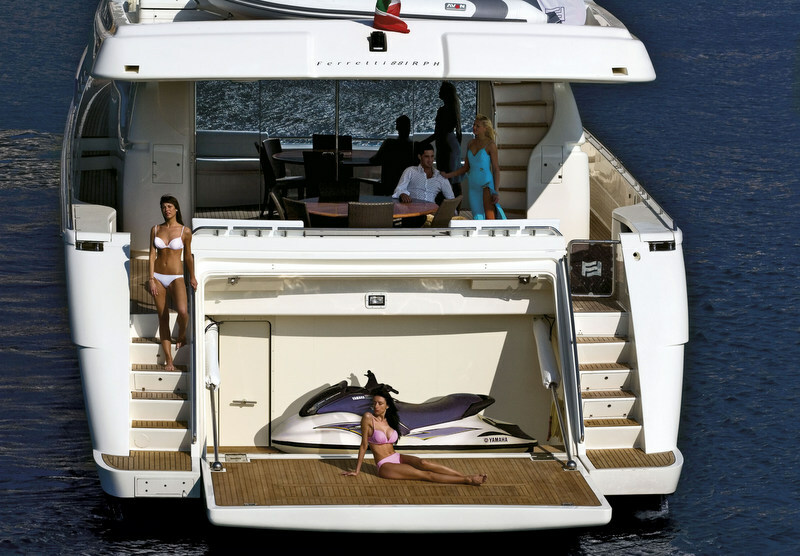 Further aft there is room for an inflatable and jet ski on the boat deck.